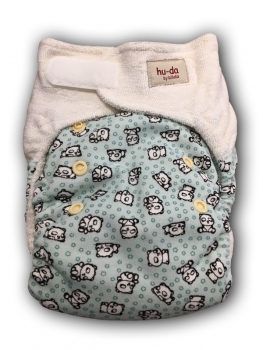 One size fitted nappy the raise can be adjusted by snapping down the front snaps and fastens with velcro that overlaps to fit small babies. 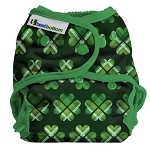 Printed cotton on the outside and the elastic in the legs and waist for a snug fit and contain mess. 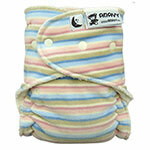 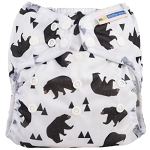 As the outer isn't waterproof it requires a waterproof or wool wrap over the nappy. 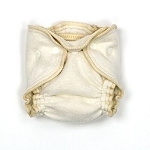 Each nappy comes with a separate anatomical insert. 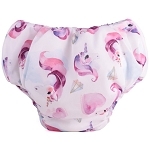 Suitable for 3.5 - 16kg. 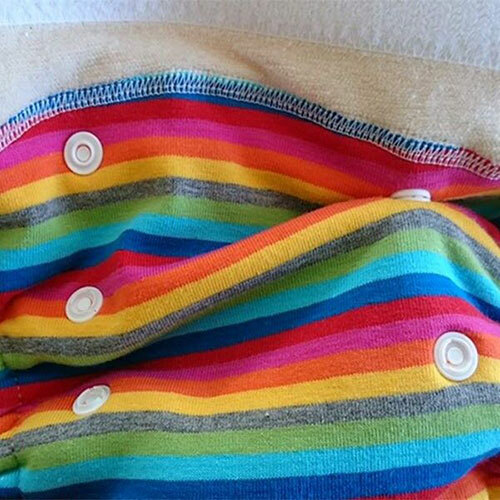 Narrow in the crotch for a trim fit. 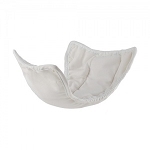 More absorbant then the velour version so great for heavy wetters and nights. 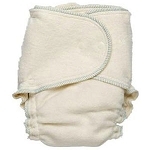 60% viscose bamboo fiber, 40% cotton. 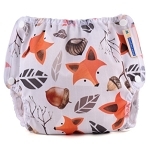 Washable upto 60 degrees with non bio powder, no bleaching, suitable for dryers on low setting.